Framed maps that are doth drywipe and accept magnets. 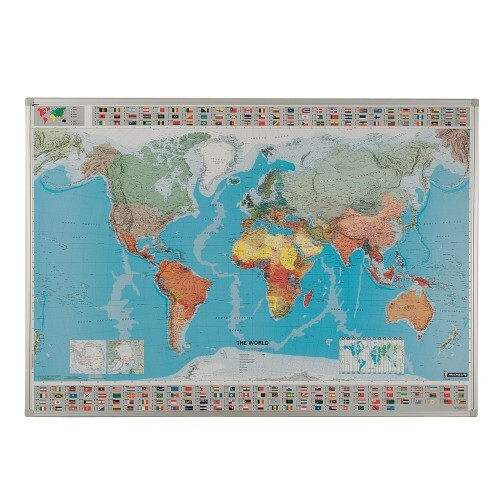 Mounted and framed maps with a drywipe surface suitable for use with dry erase pens and has the advantage of accepting magnets. Choose from World map, European map, UK Postcode, UK road and terrain and UK county boundary. Supplied with wall fixings.